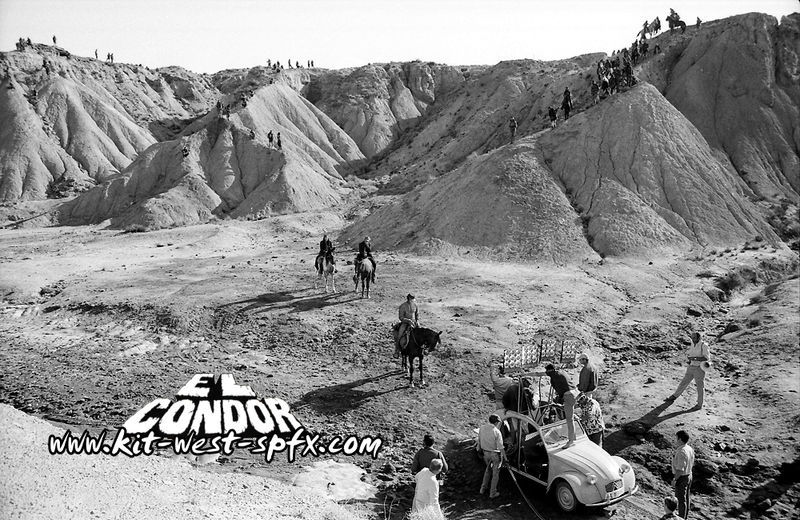 In 'El Condor' there are some very beautiful shots of the barren landscape around Tabernas. 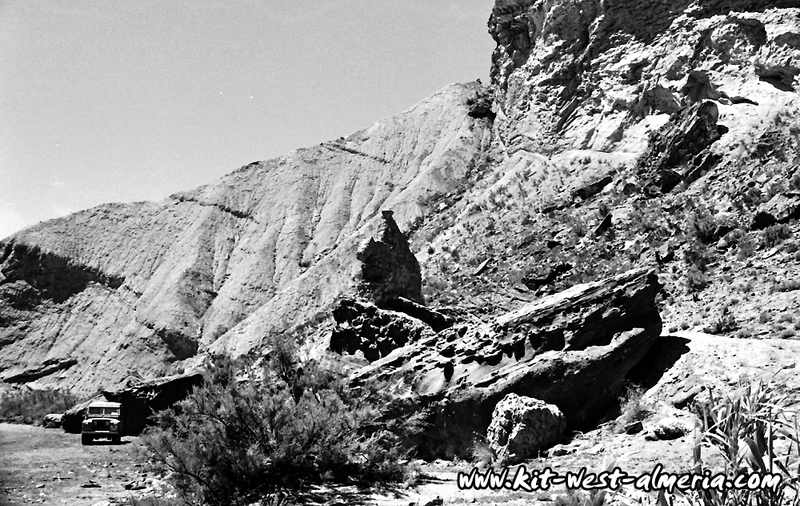 Filming in the Rambla Alfaro near Tabernas (Almeria), 1969. 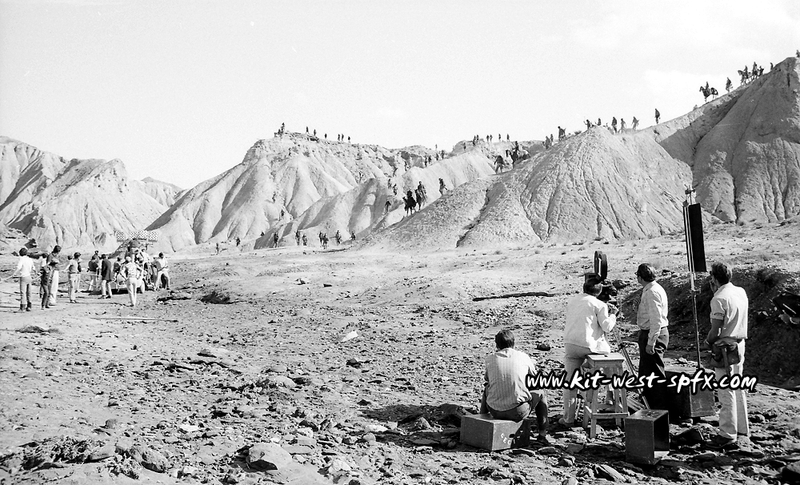 One of those typical movie Ramblas in the desert of Tabernas. comfortable to reach for any film crew. On the left in the photo you can see the lighting crew 'fighting' with the cable to the generator. Rambla Alfaro - Comparison photo 2009. Learn more about the movie history of this interesting location here: Rambla Alfaro. 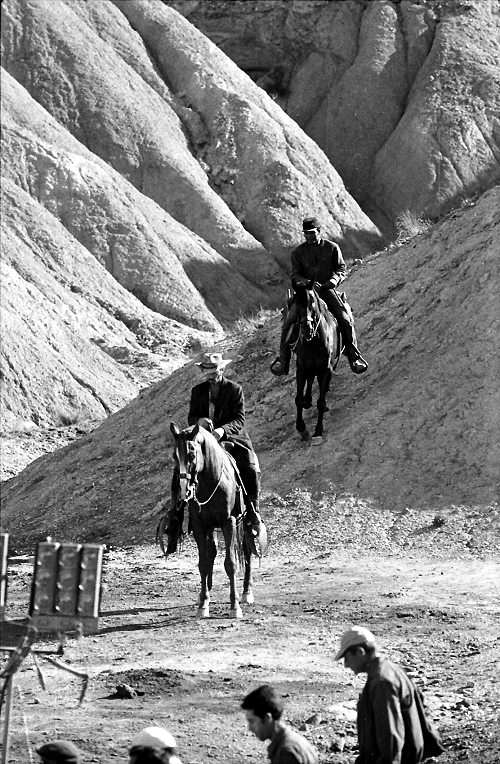 One of the few scenes in which Lee actually sitting on the horse. 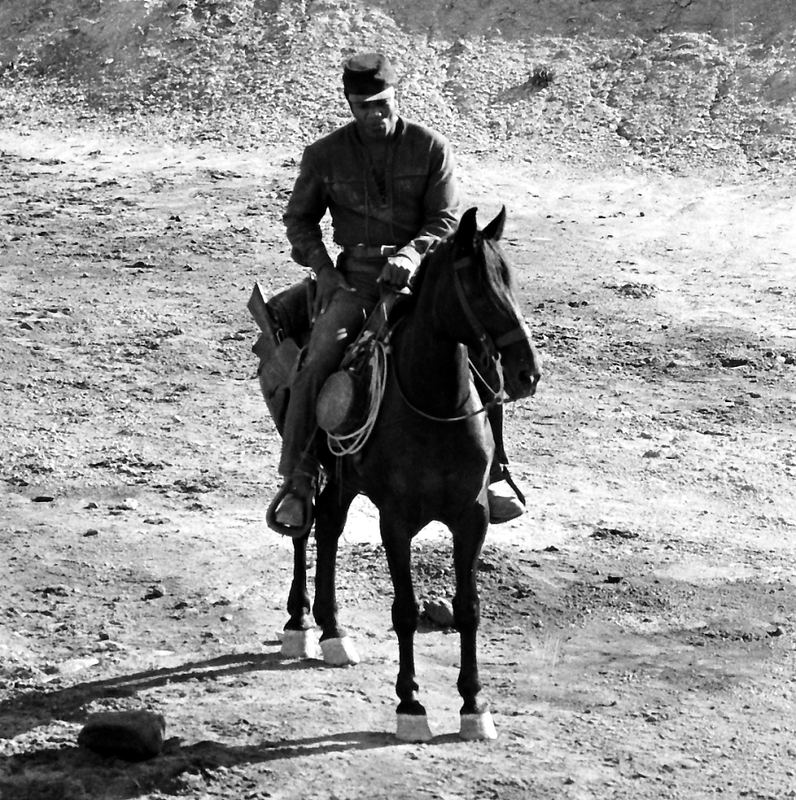 For faster movements on the horse Romano Puppo (Lee's double) jumped into the saddle. What was that again? This way? Aaah, my friend is back ... the Citroen 2CV for all cases! In the trunk the heavy film camera, the lighting equipment and different guys of the crew. unknown heroes of Almeria. A friend in need ... and unusual fit for the desert! 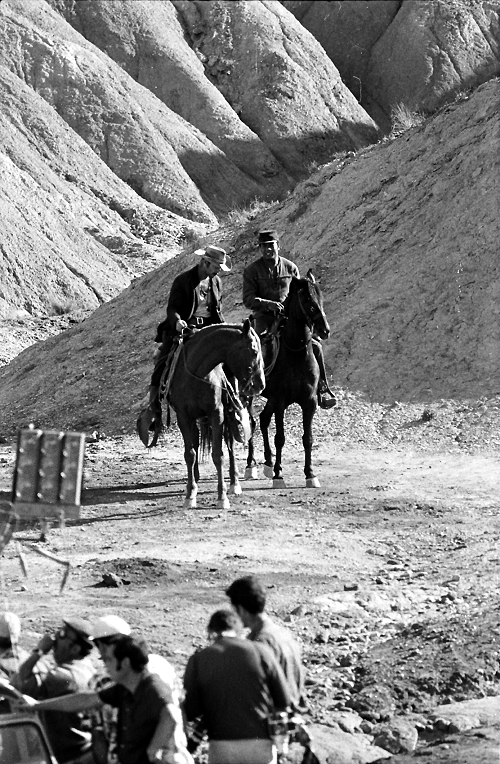 Shooting in the desert of Tabernas, 1969. (Tabernas). 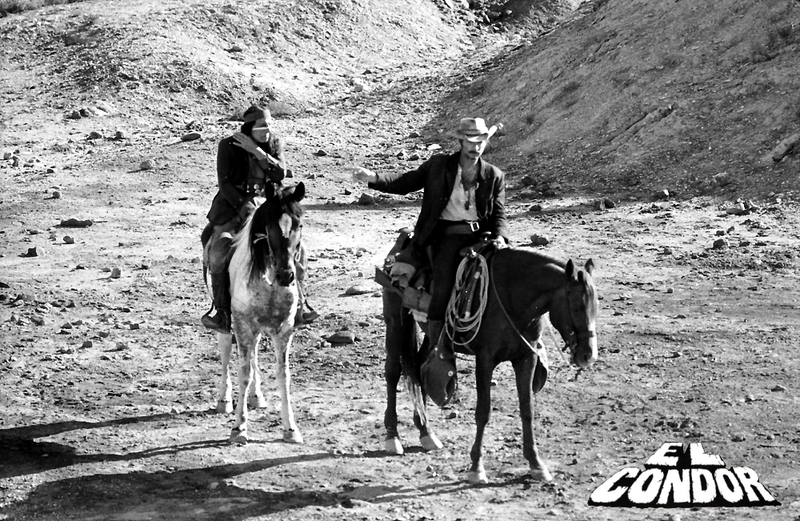 Right in the middle, Romano Puppo, in a wild gallop ... for Lee van Cleef. Stunt Coordinator Tap Canutt (white shirt, right side) has his stuntman firmly in sight. via the menu on the main page. 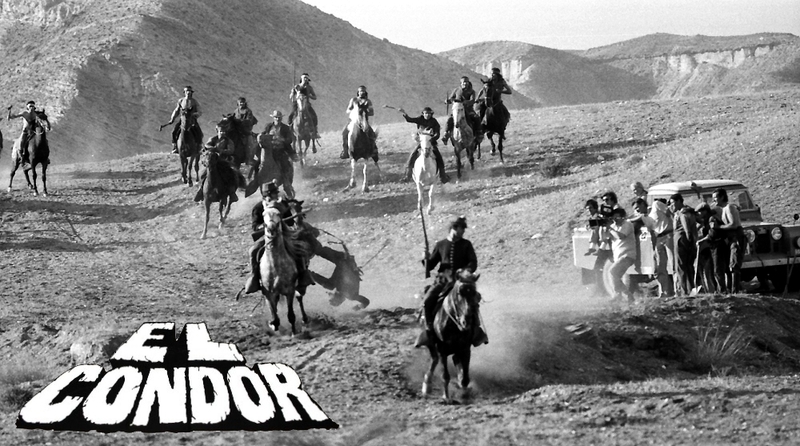 'El Condor' pre-production - 1969. 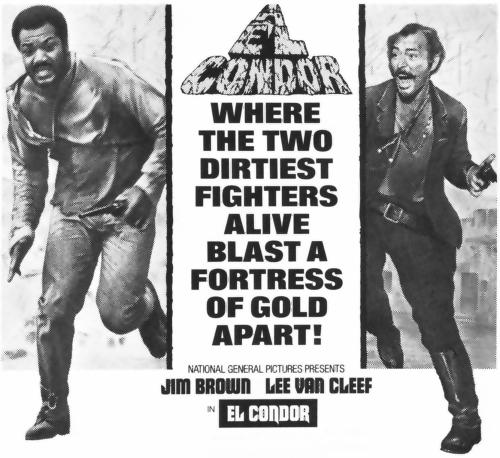 Here they stopped at a famous Sergio Leone location. 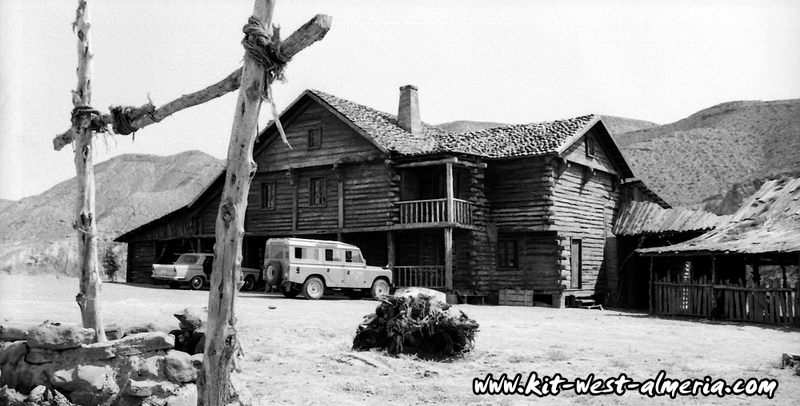 The 'Rancho Leone' from the cult Western 'Once Upon a Time in the West' built about a year ago. 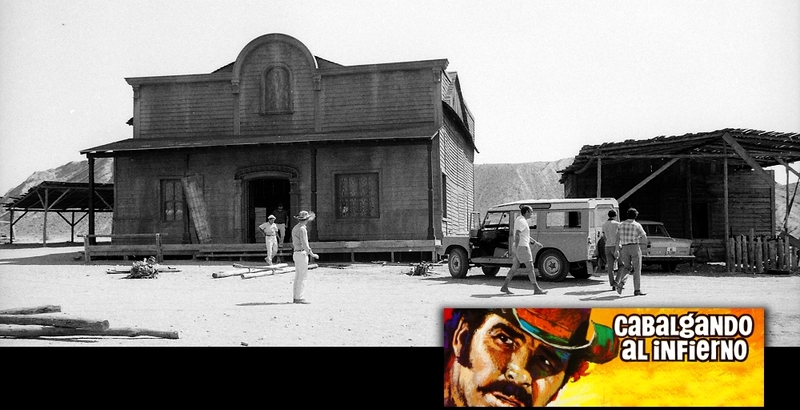 The Crew visited the Western Town Set of 'Las Salinillas', built for 'A man called Sledge'. Art Director Julio Molina (white hat) just comes out of the Saloon. To his right is Robert 'Bob' Watts (Production Manager). a local assistant (checkered shirt). The photo was taken by guide and hell driver Kit West! Learn more about this location here: 'Las Salinillas'. Great shot! 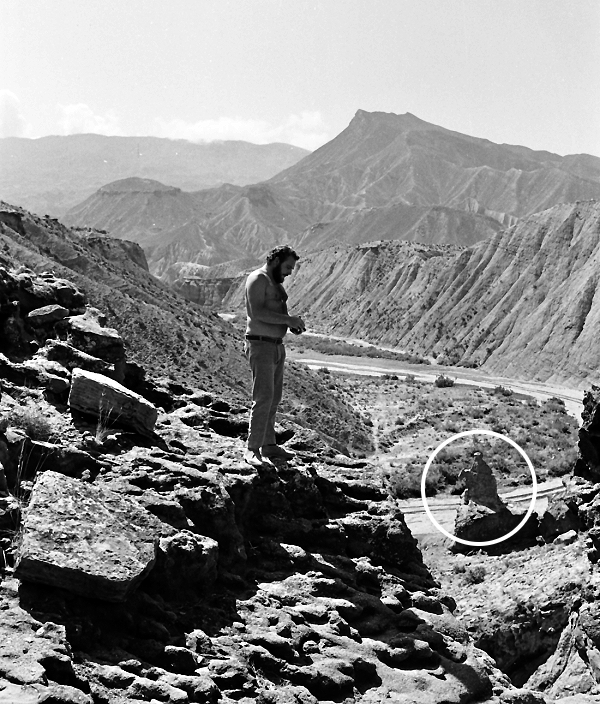 Special Effects Supervisor Kit West in the Desert of Tabernas, 1969. Another famous movie Rambla, the Rambla Lanujar. What you see in the circle looks like a Cowboy with a Poncho on a horse. 'Spaghetti Western', 'Duel in the Eclipse'. Atmospheric shot ... just like in the movie 'Duel in the Eclipse' by Diana West, 1969. Learn more about this location here: Psycho Horse. A british Land Rover in the desert - Rambla Lanujar, 1969. Learn more about this great movie Rambla here: Rambla Lanujar.